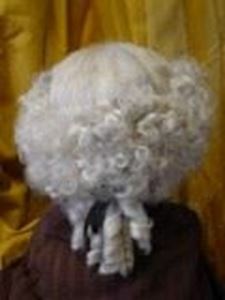 This wig is suitable for judges. Smooth on top of head with tight curls round the middle of the head and ringlets tied at the back. Whether for hire or purchase, please contact Dauphine (01179 566556) for price details.